Watch this full interview and learn about the building blocks for this intriguing experience in addition to a glimpse of the game's post-launch future. There's going to be a lot to process as tactical fans unravel Mutan Year Zero: Road to Eden's unique mixture of stealthy exploration, survival, and combat when it releases in December. Lucky, Shacknews got an opportunity to speak with Bearded Ladies developer Haraldur Thormundsson about the recently revealed release date, the new level the team is showing off, the Swedish RPG that inspired the game, and a whole lot more. 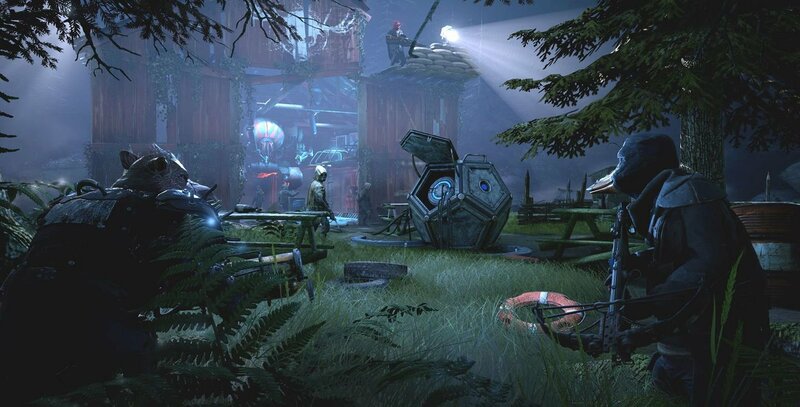 Check out the full interview below and be sure to comment your thoughts or any future questions you may want asked about Mutant Year Zero: Road to Eden. Our team gets plenty of opportunities to discuss many different projects with the creators and we'd like to see our community's questions answered as often as possible. Take a look at our hands-on preview of Mutant Year Zero: Road to Eden from E3 2018 as well. Head on over to the official Shacknews and GamerhubTV YouTube channels for extensive looks at games and more via exclusive interviews, gameplay, walkthroughs, and more. Mutant Year Zero: Road to Eden launches December 4, 2018, on PC, Xbox One, and PS4.